HP printers are reliable and easy to use. If you have a home office or simply want to be able to print your personal documents then check out the complete range of printers available from HP. 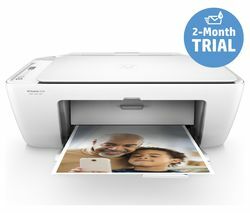 HP Envy 5532 is a wireless all-in-one printer that will allow you to print from your internet connected PC or any other internet connected device including your smartphone, tablet or laptop. With a stylish HP printer in your home you’ll never have to worry about where to print your airline tickets or important documents again. Connecting a wireless HP printer to your wireless network couldn’t be easier using HP Auto Wireless Connect. 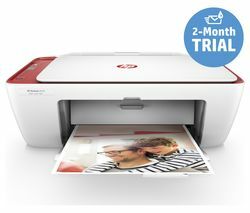 The affordable HP Envy 5535 Printer can produce print lab-quality photos and pristine, laser sharp documents time and again. It’s easy to use regardless of whether you’re printing, scanning or making copies. This HP Printer includes a full set of HP 301 ink cartridges and is compatible with the HP Instant Ink scheme. Having a printer at home can save you time and money. Simply connect your PC and press print. In the case of wireless printers, you can print from your internet connected smartphone or tablet. It’s quick and easy to produce quality prints every time. The HP Colour LaserJet Pro MFP M277n is an all-in-one, wireless laser printer with fax that’s ideal for bigger print jobs. Take a look at some more great printers from brands such as Canon and Brother.